A truly formidable range of Bronze nut designs which compliment the power screw ranges, most of which are stocked and ready for fast delivery. 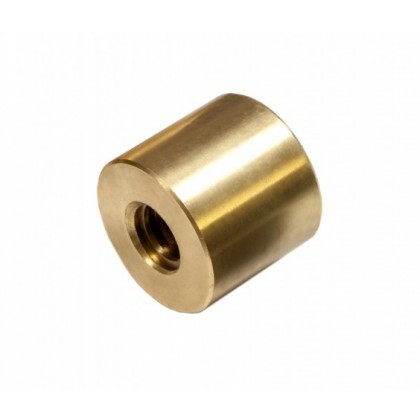 In many cases our customers require the nut to be machined to drawing which can also be done quickly and efficiently. Abssac has well over 35 years’ lead screw and nut experience, which ensures that all nuts are tapped and matched to the screw supplied. Combine this with the ability to offer further journal end machining, gun drilling, screw hardening and special coating treatments to the screws gives Abssac the competitive edge in the Power Screw market. 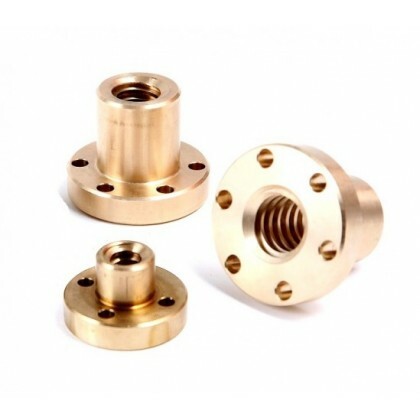 There is a huge range of Bronze nut designs to compliment the Power screw ranges, most of which are stocked for fast delivery. In many cases our customers require the nut to be machined to drawing which can also be done quickly and efficiently. Abssac has well over 30 years’ lead screw and nut experience, which ensures that all nuts are tapped and matched to the screw supplied. Combine this with the ability to offer further journal end machining, gun drilling, screw hardening and special coating treatments to the screws gives Abssac the competitive edge in the Power Screw market.